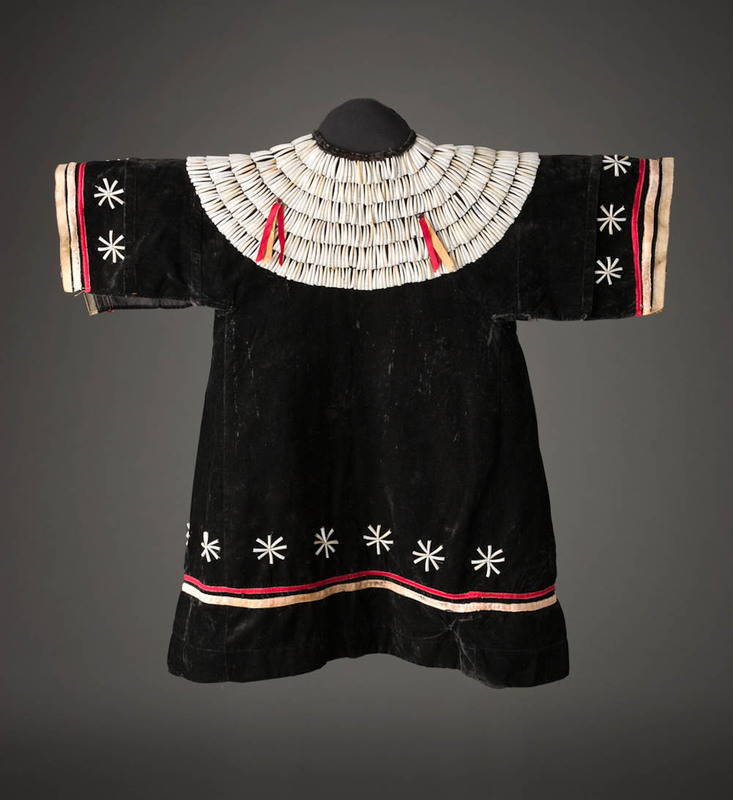 Dentalium shell was the principle decoration of 19th-century Plains dresses. Here, six rows of dentalia form the dress's yoke, while starbursts and silk ribbon adorn the rich velvet sleeves and lower portion. The luxurious fabrics and generous use of dentalia shells, traded from the Pacific coast, suggest this dress belonged to a girl of high rank.